Pumpkin pie is a Thanksgiving must, but it doesn’t have to be boring! We think we’ve improved the classic pumpkin pie by presenting it in a different crust -- one full of autumn flavors, a gingersnap crust. 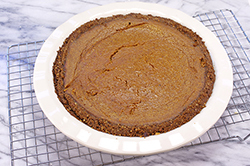 The combination is wonderful and trumps other pumpkin pies that feature a more traditional crust. 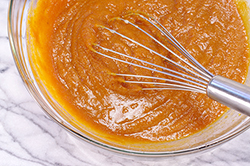 Further, we’ve added a light apricot sauce that adds just a hint of fruity tanginess. Top each delicious slice with a dollop of cinnamon-spiked whipped cream. 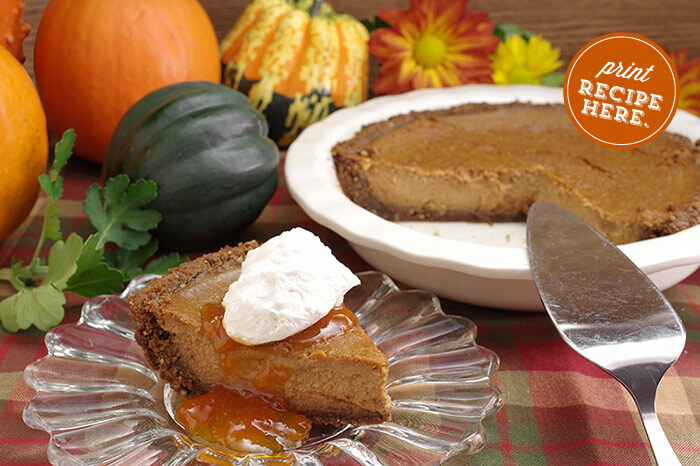 We think you’ll love this variation of pumpkin pie as much as we do! (1) Preheat the oven to 325°F. 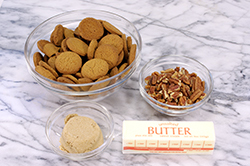 Place broken gingersnaps, pecans, and brown sugar in a food processor and pulse until an even fine crumb is formed. Add the melted butter and pulse once again until evenly distributed. 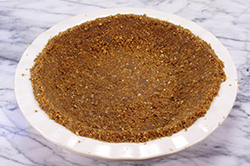 Prepare a 9-inch pie plate by patting the crumb mixture into the pan by lining the bottom and patting the crumbs up the sides. Partially bake in the oven for 12-15 minutes or until the edges just begin to brown. Remove from the oven and allow the crust to completely cool in the pan. 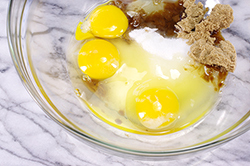 (2) Whisk together the sugars and eggs. 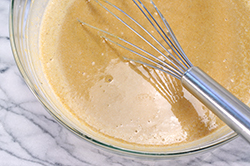 Add the puree, whisk again. 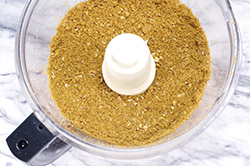 Follow with the cream, milk, spices, salt, and vanilla extract. Mix well. 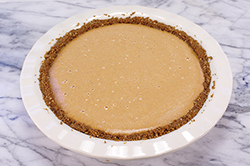 (3) Pour into the partially baked, cooled gingersnap crust. (4) Bake in a 350°F and continue baking for another 45-50 minutes or until the tip of a sharp knife pierced midway to the center of the pie comes out clean. (If the crust edges are browning too rapidly, protect the outer edge of the pie with a pie shield.) The center will be slightly wobbly, but will continue to set and thicken as it cools. (5) Cool the pie completely, about 2-3 hours. (7) Just prior to serving, prepare the whipped cream. 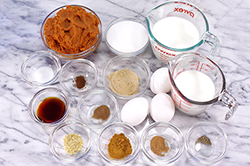 Mix together the cream, powdered sugar, vanilla extract, and cinnamon in a small bowl. 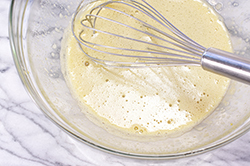 Stir to dissolve the sugar, then whip the cream to soft peaks. (8) Slice the pie into the desired number of slices. Plate each slice with a generous helping of apricot sauce. Dollop the spiced whipped cream onto each slice. Serve and enjoy!